It’s summer time! Below are some suggestions on how to enjoy the dog days of summer with Fido! Please remember that they need to have plenty of water, shade, and protection from the heat just like we do–and yes, they may need sunscreen too! Enjoy! Help your dogs cool down with a frozen treat. Stuff a Kong with a mashed banana, canned food or peanut butter and then pop it in the freezer–when frozen you will have a cold, frozen treat for your dog to enjoy! Cool Down in the Water. Some dogs love to play in sprinklers. Set up a sprinkler and play a game of fetch through it. Or purchase a kiddie pool and fill it up with cold water and let them splash around. Some dogs love the beach too! 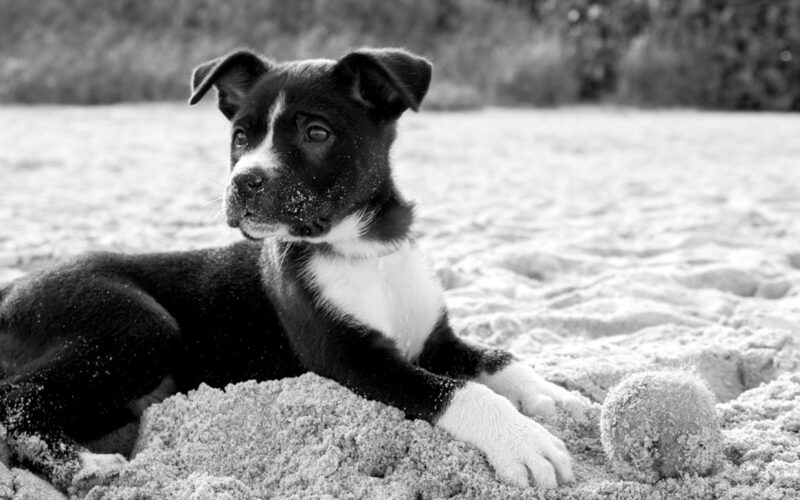 If you live near a dog-friendly beach, bring them for a stroll and a swim. Many restaurants have dog-friendly outdoor seating. However, if your dog has questionable table manners, grab some take-out and head to the park instead! If you like to go camping, then bring your dog to a dog-friendly campsite. Check for listings of which campsites welcome dogs. Invite over friends and their dogs for a BBQ! Put some lean, boneless chicken meat aside sans sauce and grill it for your dogs so they can enjoy the feast too! Find local trails where you can take your dogs for a long walk. Try to go early in the morning or late in the afternoon when it’s not too hot outside. Be careful for ticks and make sure to bring water for them too! Create a fun obstacle course in your backyard with frisbees, balls, hoops and other fun outdoor toys. However, be careful in the extreme heat as many dogs are so enthusiastic that they will literally run until they drop from exhaustion or heat stroke. Need help deciding where to stay? Visit bringfido.com for pet friendly hotels. If you want to meet other dog owners who are just as crazy about their pets as you, there’s no better place to bring Rover than to a Yappy Hour, where you can enjoy your dog, a cocktail and meet new people. Or host a Yappy Hour for your local dog park friends to get to know them better.